An artist I always enjoy. I have a book about him I bought when I was living in Germany in the early 70s. A little sentimental and a little comic. I love this because it gives me the feeling of a late summer evening. The light between five and six o' clock in the evening has always been my favorite. 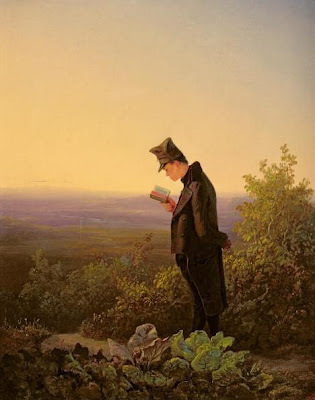 I think most people like Spitzweg, maybe beacuse they often are quite humorous.